Most statistic articles in the world of football, although stats are still very much in their infancy compared to many other major sport, tend to focus on positive areas of a player or team. In fact, articles on La Liga’s rookies of the year, MVP’s and several other pieces proving how good a player’s season has been have appear on this very same page with my name on it over the past few months. So why not do a little salmon trick here and swim against the current? After all, good teams and good players stats stand beyond the ‘others’ thanks to the fact, that there actually are ‘others’. New coaches Míchel (Sevilla) and Abel Resino (Granada) may well have realised by now that they should ask José Antonio Reyes and Dani Benítez to shoot less. In fact maybe not even at all. Former Arsenal player , Reyes, leads La Liga in taking the highest number of shots (58) without actually scoring. Reyes is the only league player that has taken at least 50 shots without subsrquently celebrating a goal. However, he probably won’t be alone in this category for far too long, as Dani Benítez is just one shot away from also putting this mark on his CV. The bad news for both the Sevilla and Granada coaches is that neither Reyes nor Benítez are quite alone in this incapacity among the rest of their team mates. Trochowski has taken 49 shots for the ‘sevillistas’ scoring only once (in case you’re wondering, the average of one goal per 49 shots is the worst in La Liga) not far behind is a Dani Benítez’s team mate, Franco Jara who has hit the back of the net just once in 43 attempts. Another two culprits when it comes to woeful shot to goal conversion are Lamah from Osasuna, scoring one goal with 46 shots, and Montero from Betis, with the same amount of goals and shots. The Ecuadorian also has the second worst average of shots on target per shot in La Liga, with a minimum of 20 shots, shooting on target only 21,74% – that’s 10 times out of his 46 efforts. In case you also wonder, Diop from Racing has the worst percentage with only 9,4% – three shots on target from his 34 shots on goal. Curious enough, all these players are predominetly playmakers, with more ability to assist rather than score. It begs the question – why try to score so much when shooting is quite obviously not your strong point? There is a high possibility that some fans are asking exactly that about some of the players on their teams. For example, no other striker in La Liga has played more minutes than Real Zaragoza’s Edu Oriol without scoring a goal or making an assist. Edu is about to reach 500 minutes, although to be fair to him, goals don´t come in bunches at Zaragoza and he is more a winger than striker. However, they same can’t be say about Granada’s Geijo, who has played in 944 minutes but has managed just one goal and zero assists. Once again Jefferson Montero appears in another poor category as he ‘leads’ La Liga strikers in the lowest participation of goals in his team having played over 1000 minutes. Montero has made an assist and a goal this season, participating in only 6,25% of Betis goals. However, he has started 18 games. The news gets worst since one of his replacements, Jonathan Pereira leads Betis in assists with six and has the best percentage of team assists, having made 33% of the Andalucian’s assists this season. While another of Pepe Mel’s players, Iriney, is the only midfielder in the league that has played over 2000 minutes without recording either a goal or an assist. The old cliché should actually state that good defences wins championships, as bad defences will probably lead to relegation. Nobody have deserved their relegation spot more than the defence of Sporting , they not only have accomplish a league-lowest three clean sheets (having made 14 last season) they also lead La Liga in own goals with five, and also have the worst defensive record – conceding 54 goals so far. Singling out one player seems rather both hard and harsh, but Sporting have failed to keep a single clean sheet in all 13 game Damián Suárez has played so far, while they have conceded 25 of their 54 goals this season with him on the pitch, even though he has only played 913 of a possible 2610 minutes. Other defenders that have failed to shine this season are Borja Gómez who hasn’t helped Granada pick up a single clean sheet in 10 games and Abraham from Zaragoza and Sergio Sánchez who have both played in only one clean sheet of their team’s seven, despite participating in 14 matches, that’s almost half their team’s game. Last and definitely least are some players that have done so little for their team that it may have been better if they had been watching from the stands. 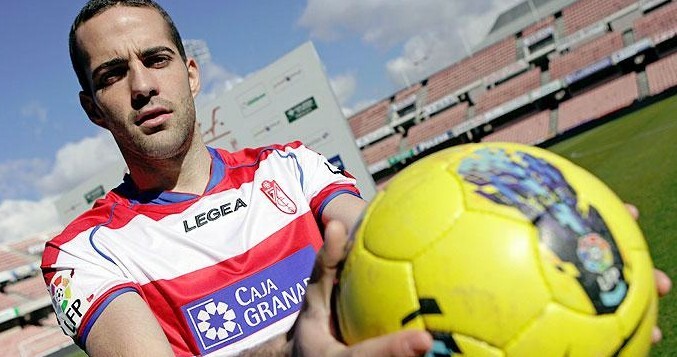 Geijo, who apart from his inability to score, has played in 11 of Granada’s 16 defeats, despite missing 10 games this season. From those 10 games the Andalucian’s won five. Sporting have won only one of the 12 matches Carmelo has played this season, losing 66% of the time – without him they perform much better and have lost just 55% of their games. Illarramendi and Diego Ifrán have played in half of Real Socieda’s 14 defeats this season, despite the fact that they have played only 12 and 13 games respectively. Del Horno has played in seven of Levante’s eight defeats this campaign, but has played in only three victories. Labaka has only played in eight games for Rayo this season but Sandoval will think twice of playing him again, as the ‘bucaneros’ has lost six of those games. ← Previous Story Welcome to el Sadar – Can Real Madrid breach the Pamplona stronghold? Interesting statistics Javier. Granada have featured some polar opposites when it comes to statistics this season. Unfortunately, getting shots on target really hasn’t been one of their stronger points, so it’s not surprising to see Geijo, Benítez and Jara rating poorly in the statistics. Should Granada manage to keep their position in Liga BBVA, then one would imagine that a priority will be to strengthen their forward lines. Geijo and Benítez were stellar performers in the Segunda, but their form both visually and statistically is perhaps good evidence of the gap in quality between the top flight and the second tier. Interesting to see the stats for Borja Gómez though, who individually, has actually performed very well since his arrival in the January transfer window. Something that I would be interested in seeing the statistics for, if you have them, is the number of goals conceded from corners and free kicks. Granada have conceded quite a lot from corners this season, which doesn’t surprise me, as whilst they always have a full-back marking the near post, they never seem to have anyone covering the far post, often preferring to man mark the rest of the opposition players. Somewhat of a tactical flaw, I would say. Love reading about the statistical aspects of the game Javier. Keep up the good work. Agree with everything you said, both Geijo and Benítez top quality for Segunda, missing some extra for Primera. Tough Benítez did show some bad symptoms last year in my opinion, shooting way too much, especially from outside the area where you will hardly score goals to be honest. Regarding Granada conceding goals, the only stat that I have is that they have conceded 12 goals from set pieces this season, not a good number. Borja just made a CS last match, Granada hasn’t defend bad with him but they have face Sevilla, Barça, Osasuna, Valencia, etc with him, so I guess is rather normal. Thanks so much for reading my articles, loves stats and I always love to talk about them.